Some things seem never to change: 25 years since the Gibraltar killings and the only reference we find in The Irish Times is a preview of a London play setting out how the British establishment would prefer the shootings to be remembered. 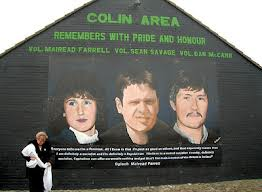 All other cultural events marking the anniversary are ignored: from a play on the life of my sister Mairead Farrell to the re-publication in e-format of the epic satirical poem on those shootings, Gib: A Modest Exposure by a Scots academic, the late Jack Mitchell. Mark Hennessy (Weekend Review, March 23rd) uncritically presents a hackneyed thesis in the play placing the blame for the killings on IRA “doves”, who wanted the three hardliners killed. Unsettling for the British lawyer playwright no doubt is that the European Court of Human Rights didn’t see it that way. It found the British government guilty of the “unlawful killing” of the trio, who were unarmed – something your report fails to make clear. The report attempts to dilute that powerful verdict by noting the Strasbourg court did not grant “compensation” to the families – nothing could have compensated my elderly parents for the loss of their only daughter. Before Parade to Glasnevin Cemetery. 1. 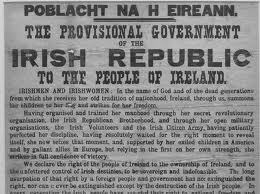 Public Talk on the 1916 Rising in Dublin. Kilmore West Community Centre, Coolock. Starting at the James Connolly Statue beside Liberty Hall. Meet at Bluebell Shops for walk to Bluebell Cemetery. St Mary’s Republican Plot, Newry. Barnes / McCormack Monument, Banagher. IRA Plot, St Stephen’s Cemetery, New Ross. 1798 Monument, Castle Street, Bray. Monday, 25 March 2012, 1:00 p.m. Assembly point to be announced. Information about the EU’s inter-parliamentary conference on Common Foreign and Security Policy is available here. Political activity, however professional or well intentioned, can only be fruitful if based on a correct analysis of the problem it confronts. Most people accept that the present flurry has as its objective the attainment of peace: but few have openly examined whether what is desired is the sullen quiet achieved by repression and dissimulation or creative lasting peace based on justice and understanding. 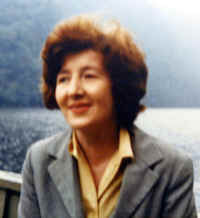 – Miriam Daly – the Irish Times 17th January 1975. 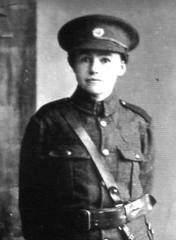 How about some recognition for Nora Connolly who was actually right in the dispute in Republican Congress? This month a group of socialist and republican activists from a variety of backgrounds throughout Ireland came together in Dublin to establish the Peadar O’Donnell Socialist Republican Forum. The concept of the forum arose from a series of seminars that in turn had their origin in a symposium on “Republicanism in the Twenty-First Century” hosted by the Communist Party in September last year. The aim of the forum is to promote the ideas of socialist republicanism, as best expressed by James Connolly, Liam Mellows, and Peadar O’Donnell. The forum is named after Peadar O’Donnell in recognition of his outstanding role as a union organiser, republican soldier, author, enemy of fascism, friend of the worker and small farmer, committed socialist, and lifelong activist for peace and against imperialism. At a time when our people are being ground down daily by the brutalities of the bankrupt capitalist system and the inability of the two failed states in Ireland to provide any solution to their problems, the Peadar O’Donnell Forum believes that the time has come for a decisive break with the present system—or, as Connolly so memorably put it, to set about the reconquest of Ireland. 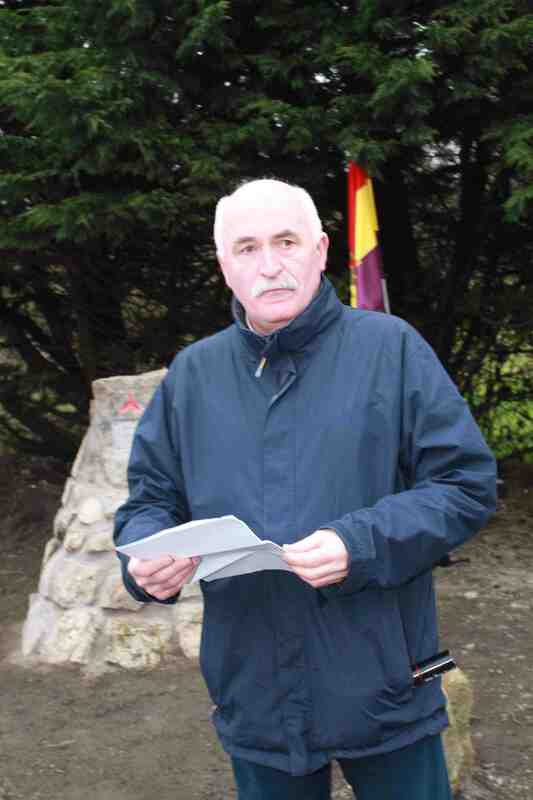 First of all I would like to thank Eddie O’Neill and his comrades for the invitation to address you today, at this unveiling of a memorial to Ben Murray, who died “ in the heroic stand on the banks of the Ebro river” in 1938. Ben Fredrick Murray was born on the 19th of July 1895 in Enniskillen. His family lived outside Aughnacloy, Moy Bridge, Co Tyrone, the son of an RIC man, reared in the Methodist tradition. Ben was only 15 when he emigrated to Canada. Like tens of thousands of young men enlisted to fight in the First World War as part of the Canadian Army, that barbaric inter-imperialist slaughter, a war to re-carve up the world between the victorious imperialist powers. Ben was clearly affected by what he experienced during that war but also with events in Russia and the Bolshevik Revolution of 1917. He joined the Communist Party of Canada and set up his own local communist newspaper, living and working in Montreal until his return to Ireland in 1933. On returning he joined the Revolutionary Workers Groups an all-Ireland network of revolutionary workers’ organisations, which came together to form the reconstituted Communist Party of Ireland. This year the Easter Rising commemoration organised in Belfast by éirígí in conjunction with the Irish Republican Martyrs Commemoration Committee and which usually takes place in Milltown Cemetery will be preceded by a parade along the Falls Road. The parade will start from James Connolly’s former family home, close to the junction of the Falls and Whiterock Roads. éirígí has already erected a party banner by the junction to advertise the parade and, over the next few weeks, will be hand-delivering 15,000 full-colour four-page brochures to doors across the city. All this is very much to be welcomed and is a sign of the growth of éirígí in Belfast. “Our theatre critic Peter Crawley, writing in today’s paper of Friel’s portrait of lives ‘suspended between memory and hope, a misty past and uncertain future. . .’ could be describing the way many young people now see themselves. In truth, if we are redefining ourselves – our Irishness – at the moment, it is unfortunately largely in a discourse dominated by the negative. We are not Greeks. We are not Icelanders. We are not rich. We are not the citizens any more of a vibrant, confident state, but of a broken polity. We are no longer the masters we believed ourselves to be of our own fates, but hapless players of hands dealt to us by others, by huge uncontrollable forces beyond our understanding.” —The Irish Times, editorial of 17th March 2010. 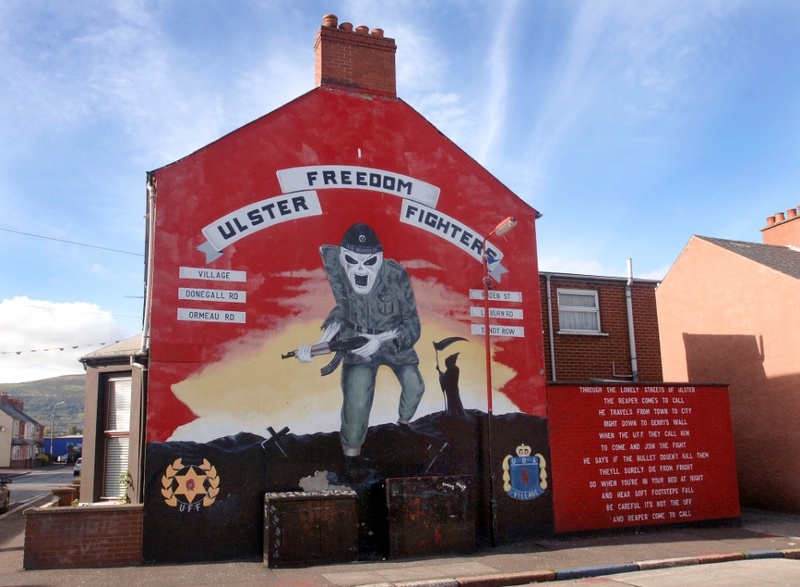 A mural appeared in 1998 on the gable end of a house on Tavanagh Street in the mainly protestant Village area of Belfast. The iconography in this mural is a representation of Iron Maiden’s Eddie figure carrying a rifle, but no flag, with the scythe-carrying reaper in the background. Surrounded by the crests of the UFF and UDA and the writing —Ulster Freedom Fighters The Village, Donegall Rd, Ormeau Rd, Roden St, Lisburn Rd, Sandy Row” — it was located alongside an adjoining wall bearing the following message: —Through the lonely streets of Ulster, the Reaper come’s to call, he travel’s from town to city, right down to Derry’s wall. When the UFF they call him, to come and join the fight, he say’s if the bullet doesn’t kill them, they’ll surel’y die from fright. So when you’re in your bed at night, and hear soft footsteps fall, be careful it’s not the UFF and Reaper come to call. 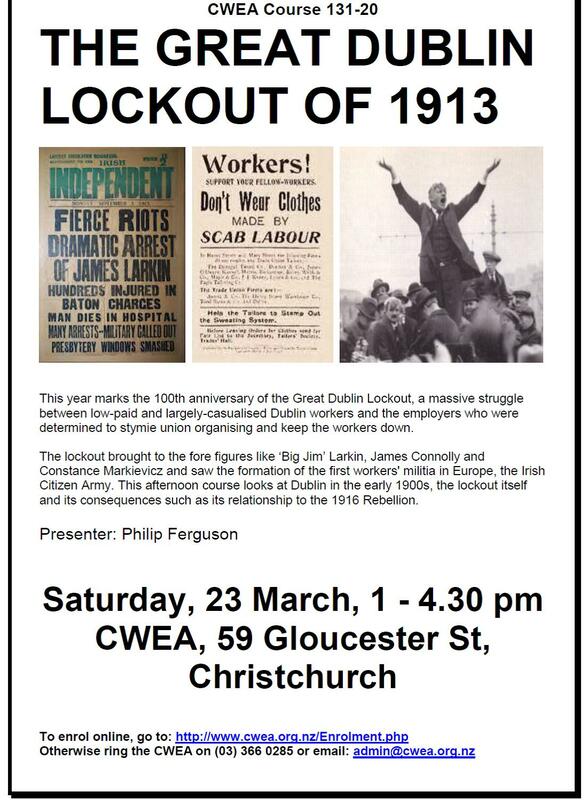 Please note the revised date for the Dublin lockout event in Christchurch (New Zealand). It is on March 23, not March 16 as was advertised on an earlier version of the poster below.